Aeroframes for roadbikes has become the new black in cyclingregi, and all brands with respect for themselves, have developed their own aeroframes. Cervelo got their S2 and S5, Specialized got their Venge, and Scott got their Foil. The Foil though, is quite different from the others. 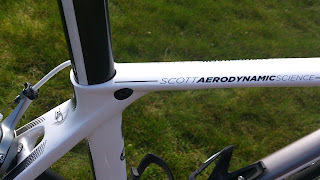 While the other manufactures has kept their normal standard topframes, Scott skipped the Addict-frame totally, because the Foil was both more aerodynamic, but also stiffer and even lighter than the Addict. A combination only the Foil have managed to do, while the other aeroframes has been slightly less stiffer along with being heavier than the other companies other topframes. Scott has since then entered a new version of their Addict to the market, but for 2 years, the Foil was the undisputed top racingframe from this Swizz brand. So, is it aero? Well, according to Scott themselves, it would, compared to nonaeroframes, save you somewhat 15 watts doing 40 km/h. It is not as aerodynamic as a Cervelo S5 and a Specialized Venge, according to the aerotest performed by the Velo Magazine in a windtunnel, but it is stiffer, and therefore better suited in the sprints and climbings than other aeroframes. So for a flat road, being in a break away, an S5 or Venge would be the better choice, but as an overall frame, the Scott Foil is, on paper, the best aeroframe out there. But what about it on the road. Is it fast? The short answer is, yes. It does feel faster than a standard frame. First time I took it out for a ride (38 km route I usually do when it comes to short rides), I set a new personal record, beating my previous record by 1½ minute. But the real thing that amazed me, was that, I felt a lot faster in was the crosswinds. Somehow I felt and still feels, that it’s like just almost as fast in crosswinds as in tailwind. In headwinds, the drag also feels reduced. Im pretty sure, that im doing a gear or 2 greater than then using a standard nonaeroframe. Suddenly, headwind doesn’t feel that bad as I used to think of it before. I would love to try an S5 in headwind, if it, on paper, is saving you twice the amount of Watts as a Foil, because I am sure I would be feeling like flying then. A thing that I noticed pretty fast was, that the seatpost is costummade, and only suits the Foil. The adjusting of the hight of the seatpost is done inside the frame too, where other frames usually have that done above the frame. It is details like this, that makes the Foil feel special and looking aerodyamic while standing still. It does also feel very very light. The topframe Foil 10, using HMX-carbonfibre, weighs in at around 850 grams for a size medium (54), while the other cheaper versions of the Foil (like the 20, 30, 40), using HMF-carbonfibre, comes in at around 920 grams for a medium. So it is even one of the lighter frames out there, while being aerodynamic. And the lightness can be felt when climbing hills, at least compared to a Scott Speedster aluminiumframe. The great stiffness comes to a nice help here too though. It does not seem to flex at all when sprinting. But I am more a Contador than a Cancellara, so I have no idea about the flexing if a stronger guy was riding it. But as the Velo Magazine could tell, it was the stiffest bike in the test. 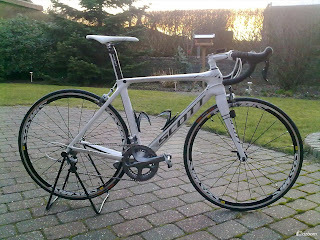 So stiff actually, that Mark Cavendish originally complained about the bike being too stiff (Too stiff for a sprinter? Must be a firsttimer), and other reviews have stated the same. But I personally, doesn’t think it’s too stiff. It’s not comfortable as other carbonframes, but it’s still more comfortable than several aluminiumframes out there. As stated in the start, I have tried both the frame with the fancier HMX-fibres and the cheaper version with the HMF-fibres. The difference between them is, well, I don’t really know if there is any. On paper the more expensive Foil 10 is 70 grams lighter, but hey, that’s 1 sip of water less in your bottle, and you have saved that as well. So if you ask me, it is more like a gimmick to get the Foil 10, than the other 1500$ cheaper Foil’s you can buy. It will always give a little extra when stating, “I have the best Foil out there”, instead of “I got the cheaper frame”, but in the end, you can’t feel a difference at all. And remember, it is always the legs that has to do the talk. So if I were you, I would save those 1500 dollars, and spend them on some nice wheels. 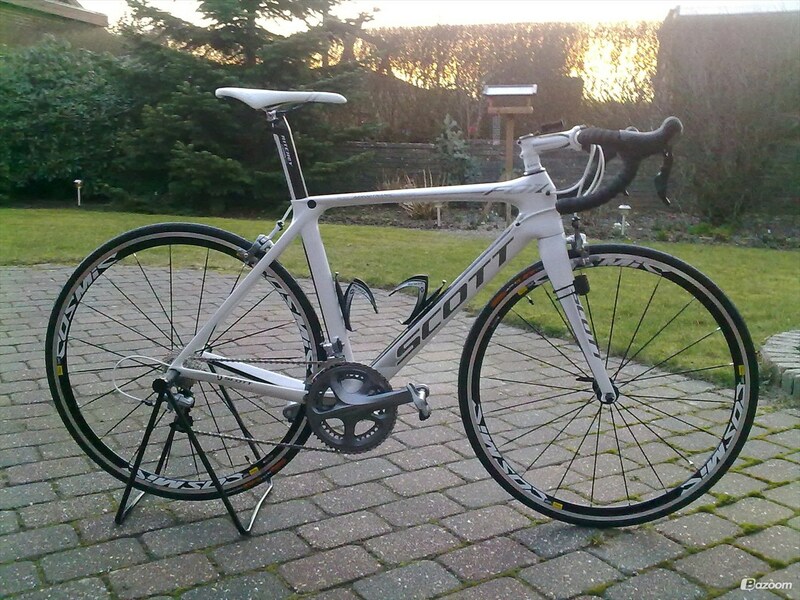 If you are lucky, you can probably find some Zipp 404’s out there somewhere for those money. Is it the aeroframe to buy? Well, as I stated before, there are some frames that will save you more Watts in the wind, but if you want a frame that is just as light and stiff as a normal frame, there is no denying, that the Foil is the only choice for you. So, if you live and race on flat roads with a lot of wind, another frame like the Venge or S5 would be better suited for you. But if you are planning to get a frame that can get you up a steep hill or long mountain just as fast and easy as a standard frame, along with saving you energy on the flat parts, the Foil will be the number 1 choice for you. It’s a great frame, with a very good finish, so it would be a great choice for anybody needing a new frame to win their races in. Which Muscles Are Used When Riding A Bike?